There can be a host of reasons for using VPN or Virtual Private Network but among the 2 main reasons are to hire where you are from and who you are. But why may you need to do any of the two aforementioned things? Well, this is based on the job that you’re doing online and you may not want your personal online activities to be traced by any one, especially on those areas of the world where one of the biggest issue is internet surveillance. As per a report released, one among six people are using VPN along with their internet connection and more than half among them have taken resort to VPN to receive access to websites which are region-locked, as per new research. If you wish to hide where you are, VPN has the benefit of opening websites which can otherwise not be accessible. Here are few of the best free VPN for 2017. With TunnelBear, safeguarding your identity just can’t get better as it is the best VPN around which is free of cost. Number of servers are 1000, there are more than 20 server locations and it can support up to 5 devices to the maximum. TunnelBear has got an indeed sweet design but it comes free of cost. You may choose from both free and paid subscriptions. However the only limitation with the free version is that you’ll be restrained to 500 MB traffic every month. The performance of this VPN server is awesome and it is also user-friendly at the same time. In case you’re someone who uses public Wi-fi often, then this is one of the greatest options for VPN that you may choose to safeguard your privacy. Hotspot Shield is one of those well-known names and you may try and anchor yourself to almost 20 countries if you choose to pay for the premium version of this app. With that, you can access almost anything that you want. It provides you with an option to get free VPN whenever you connect through some Wi-fi network and it is immensely useful to those who don’t work from their offices. However, for the free version, the limit of bandwidth is 750 MB per day. This is an extremely secured VPN connection which also has a data cap and Windscribe has been considered as one of the best among free VPN servers. Comparatively, it is a newcomer to the industry of VPN but its strong commitment to safeguarding your privacy and generous allowance of data makes it one of the best around the market. You get 10 GB bandwidth in a month which is perfectly standard and it also allows you to select from more than 8 remote servers. You just need to have a username and password to log into this. Do you wish to secure a speedy connection? If answered yes, you don’t have to look further when you have Speedify. As the name suggests, Speedify’s main aim as a provider of VPN connection is to make sure that while you derive the benefits from the encryption, your net connection has to be extremely speedy in order to work properly. The service will utilize the available internet connection to achieve best performance. Therefore, if you’re eager to work from home or you wish to hide your identity and the online information, you can definitely use VPN. 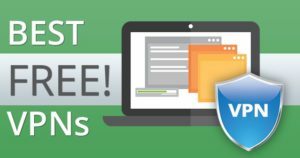 Take a close look at the best, free VPN servers listed above and use them to their utmost level.